Let’s Get Moving at Hairston Park! Family, Fun, Fitness and Food! We will have a fitness obstacle course led by professional fitness trainers, guided trail walks, health education resources, fun games, music, prizes and much more. Feel free to bring your blankets, lawn chairs and picnic baskets! Join us at Hairston Park, 889 S. Hairston Road, Stone Mountain. No slaughterhouses in our neighborhoods! We will share it with commissioners Monday, prior to their vote on the matter Tuesday night. Please join us if you can and Wear RED. March 26, 6:30 p.m., 1300 Commerce Drive, Decatur. The Board responds to public pressure. Numbers count! Background: Bradford Homes & Grounds has been running a slaughterhouse at 1676 Rice Road, Lithonia, Ga., for at least five years without a proper DeKalb County business license. Since January 2016, he has slaughtered at least 2,174 animals. Now that Code Enforcement made the business license department aware of the problem, the owner is seeking a rezoning. In addition to signing the petition calling for the commissioners to DENY the rezoning, we encourage you to call or to write all county commissioners and urge them to DENY the request. Here’s a great link to see exactly how the SPLOST money is being spent. Click on Project Map and zoom in on the area you want to see. It will show you exactly what projects are on the list, in progress, and completed. KEN BLAKELY, Executive Committee-Board of Directors. Ken is a 26-year resident of the Hidden Hills community. This is his first year as a board member of GHHCDC. 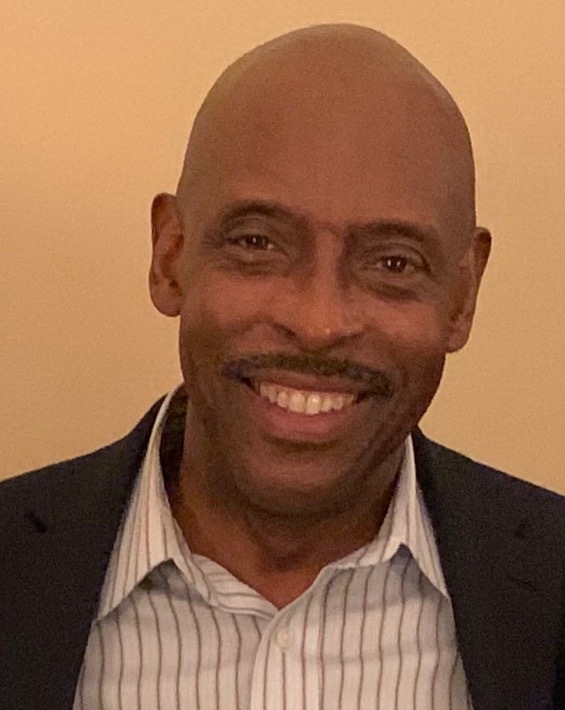 Ken is retired after working for the Federal National Mortgage Association (Fannie Mae) for 25 years in their Washington, DC and Atlanta offices. He currently is involved with several organizations that are working to bring economic development and increased pride in our community. In addition to working with the GHHCDC, Ken is on the Board of Directors of both the Hidden Hills Civic Association, and the Imagine Greenhaven cityhood initiative. He is also a member of the South Dekalb Improvement Association. LARRY COLES, Executive Committee-Board of Directors. Larry has been a resident of DeKalb County since moving to Georgia over 20 years ago. He is President of the Highlands at Hidden Hills Condominium Association (13 years), an active member of the Hidden Hills Civic Association, and member of GHHCDC since its inception. Larry envisions a thriving, clean, and beautifully landscaped area where residents and businesses take pride and responsibility for building a vibrant community for the next generation. 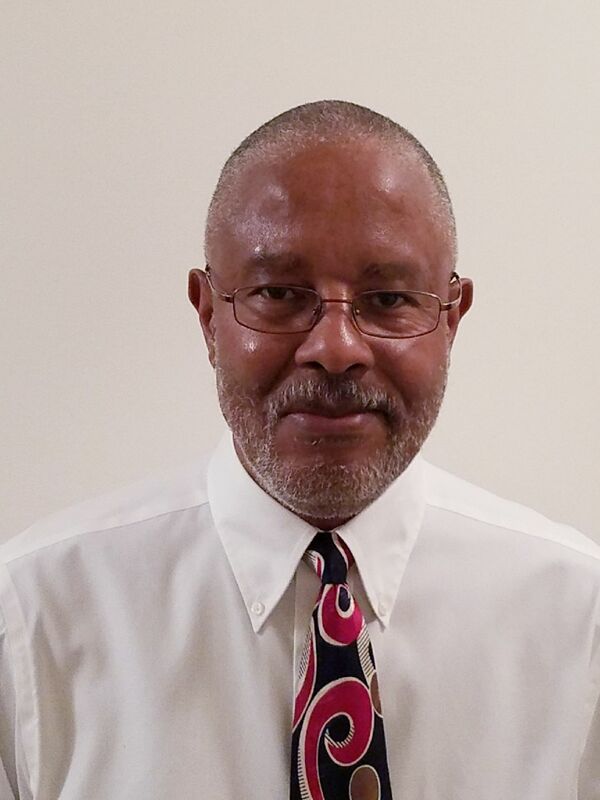 Larry currently serves as Program Manager at the U.S. Department of Education’s Federal Student Aid Office in Atlanta. He is responsible for building alliances and developing partnership opportunities and services for colleges and universities nationwide. He has previously served as vice president and in senior management roles at Wells Fargo Bank, Urban Ed Express, the College Board, Georgia Student Finance Commission, and Brown University. Bradford Homes & Grounds has been running a slaughterhouse at 1676 Rice Road, Lithonia, Ga., for at least five years without a proper DeKalb County business license. Now that Code Enforcement made the business license department aware of the problem, the owner is seeking a rezoning. We ask you to call and write all county commissioners and urge them to DENY the request. Unfortunately, only three people made the Planning Commission meeting. Despite a strong recommendation from the planning staff to deny the request, four commission members were in favor of granting it. The commission could not get a majority vote, so that motion did not pass. Instead, they passed the buck and recommended that the case be sent back for a full cycle deferral. In the first two months of this year, 22 cattle, 5 pigs, 85 goats, and 98 sheep were slaughtered. The killing takes place in the middle of a neighborhood, 1/5 mile from Redan Elementary and ½ mile from Redan Recreation Center. In the past three years, 2174 animals have been slaughtered, according to the GA Department of Agriculture. The meat is then sold to individual consumers. This business does not belong in a residential neighborhood. The request is to rezone it as Residential Estate, but that doesn’t solve the problem of having an active slaughterhouse in the middle of a residential community. The property does not have the required building setbacks and fencing for the facility. The owner has a history of operating outside the law. He began slaughtering in 2014 (possibly earlier) but was shut down by the GA Department of Agriculture for not having the proper state license. He has been operating for years under a DeKalb County business license that does not allow slaughterhouses, but rather construction. Since 2012, Animal Control has been to the property numerous times, investigating the shooting of Canadian geese, unvaccinated dogs kept in barrels, ribs showing on a horse on the property, and concerns about the unsanitary conditions. Please, write or call your county commissioners and ask them to DENY the rezoning. Also, come to the meeting and wear red! March 26, 6:30 p.m., 1300 Commerce Drive, Decatur. Please share this information with any DeKalb County resident who cares about the quality of life in this county. 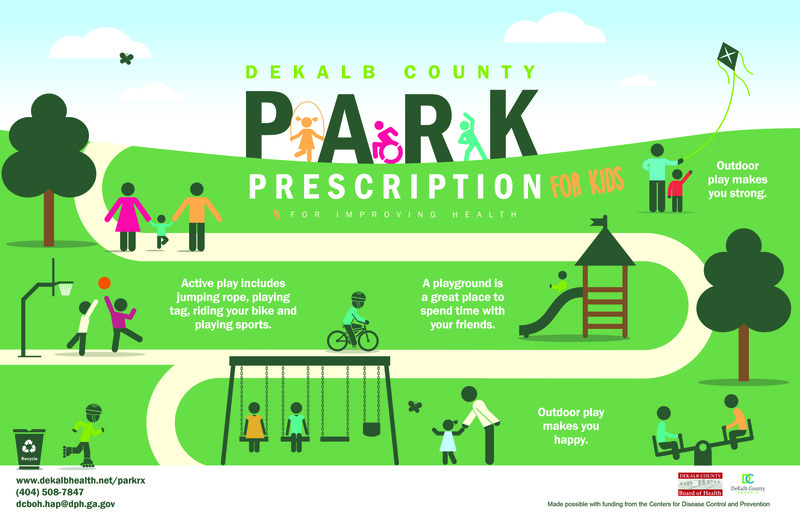 On Friday, March 15, 2019 Commissioner Lorraine Cochran-Johnson in partnership with the Greater Hidden Hills CDC will launch a guerrilla-style marketing effort designed to engage DeKalb residents to clean-up their communities, take ownership in positive community and environmental outcomes, and actively eliminate litter through clean-up across the county. The campaign will culminate with a county-wide community clean-up day on Saturday, June 1. To build litter awareness and encourage community pride, the comprehensive effort includes a video and jingle content where students develop original content supporting the “Your Community, Your Litter – Pick It Up!” theme. Local high schools and elementary schools will participate in the content and winning students and teachers will receive Amazon gift cards, pizza parties and recognition for their efforts. The videos and jingles will become the marketing engine behind the anti-litter campaign. We appreciate the involvement of Super District 7 commissioner Lorraine Cochran-Johnson and her staff. Mr. Mahammed Qureshi met with the Hidden Hills Civic Association (HHCA) March 5 to discuss his vision for the closed Hidden Hills golf course. He wants to create cricket fields on part of the property, housing in the center, and various recreational amenities in other places. As of this date, he has not closed on the property but he has invested thousands of dollars in surveys and other costs. The HHCA president rod Frierson and GHHCDC President Jan Costello have met with him twice and explained what development is allowed and what the community prefers. Before any development can take place, the GHH Overlay Code requires that plans be reviewed by the County. Mr. Qureshi has committed to working with the community before he gets to the planning review stage. He is a wealthy businessman who has put the property under contract. He is a huge fan of cricket, and in 2001, he started a professional organization called Cricket Council USA to promote, develop and expand the sport of cricket in the U.S. It is based in south Florida. On the home page, look for the section called, “What is cricket?” The site has ten short videos that show you how the game is played. Congratulations to Rod Frierson for his nomination to the Marta Board of Directors. Rod is president of the Hidden Hills Civic Association, one of the county’s largest communities representing 1,683 homes. He is also a business development consultant with nearly 30 years of leadership experience in manufacturing, distribution and warehouse management. Frierson received a Bachelor of Science degree in resource development and management from Michigan State University. What a wonderful opportunity for our community to have Rod represent DeKalb. Welcome new Board Members Larry Coles and Kenneth Blackly. Larry Coles and Kenneth Blackly have been elected to the Board of Directors of the Greater Hidden Hills Community Development Corporation. Our next Greater Hidden Hills CDC meeting is March 23, 10 a.m., at Mainstreet Community Center, 5001 Mainstreet Park Drive, Stone Mountain, 30088. You are welcome to join us for an update on our initiatives and business development in the area. On Jan. 8, the BOC unanimously denied the SLUP for the Tycore Auto Repair shop. Your activism made the difference! 289 people signed the petition against another auto repair shop, and those names and comments were sent to the DeKalb Board of Commissioners (BOC). District 5 Commissioner Mereda Davis-Johnson and new District 7 Commissioner Lorraine Cochran-Johnson set the tone by noting that Covington Highway has too many auto-related businesses, and they mentioned some of the facts that we presented. It was a painful day for the applicant, but our position was clear before he bought the property. This part of DeKalb County is ready for more business diversity, and your efforts in signing the petition helped make the case. The result: the Board reflected the will of the community. Making a Difference in Greater Hidden Hills! Our redevelopment and beautification efforts are making an impact in the Greater Hidden Hills community. We had a productive 2018, and we thank all of those who were part of the effort. We advocate for the area within and adjacent to the Greater Hidden Hills Overlay District, which covers a four-square-mile area (incorporating these four corners: Covington/S.Hairston, Redan/S.Hairston, Redan/Panola, and Covington/Panola). Waffle House Opening – Redan Road and South Hairston. GHHCDC celebrated the opening of this new business in October. The company changed its plans to conform to the GHH Overlay District, and the result is a dozen trees in parking lot islands and the street frontage.In addition, the company improved the bus shelter in front of its restaurant, expanded the cement pads and updated the landscaping. GHHCDC provided two new benches, and MARTA pitched in the garbage cans. Rocklyn Homes Development – Covington Highway and Panola Road – heard our concerns and modified its design for the townhome community near LA Fitness. The development will have a one-third acre pocket park, a 30-foot landscaped buffer, and lots of trees. The area used to be in the GHH overlay district, but the city of Stonecrest annexed it. Nevertheless, we insisted that Stonecrest meet the higher standards that we have in our overlay, and they agreed. We had two meetings with the developers, one with the planning department, and attended four public hearings. Interestingly, Rocklyn is proposing another townhome community on Covington, and this plan already has walking trails, a dog park, and a pocket park! Tycore Auto Repair – Covington Highway and South Hairston. We attended four public meetings and one meeting with commissioners to ask that this business not be allowed to open at 5361 Covington Highway, across the street from Pep Boys, a tire shop, and next door to an auto repair shop. Within three miles of this address, there are 183 auto-related businesses. The effort continues into 2019 as the Board of Commissioners deferred its vote. Refreshed the median on South Hairston, just south of Redan. GHHCDC hired a landscaping company to regularly maintain the median. Planted rosebushes and perennials in the entrance island of Los Arcos and along with beautification of the sidewalk strip. Planted 26 trees as part of our ongoing streetscape improvement, in a joint project with Keep DeKalb Beautiful and the DeKalb County Tree Bank. These include 14 Nellie Stevens Holly leading up to the entrance of Hairston Park; 10 crepe myrtle in the public easement on Redan Road, to beautify the Hairston Square shopping center; and 2 Georgia Gem Green Ash trees on South Hairston and in Hairston Park. South Hairston median refresh, with volunteers (from left) Lois Dunlap, Jan Costello, and Nadine Rivers-Johnson. Herbert Love and Gwendolyn Stegall on the cold January planting day. Parks are an economic development tool. That’s why we are active Friends of Hairston Park. We finished installing fitness stations in Hairston Park, an effort achieved through the UPS Foundation grant that we received. We also helped make Earth Day in Hairston Park a huge success as we reclaimed trails in the beautiful wooded area on the north end of the park. Remembrance of a Fine Musician and Friend of GHHCDC. Theresa Hightower, the accomplished jazz musician, singer and actress, graced us with what was to be her last public performance at the 2nd annual Music on Main, a significant fundraiser for the organization. She passed away in October. Ms. Hightower was a true humanitarian, and she left a legacy of outstanding performances and community service. stage the 3rd annual Music on Main, our annual fundraiser! We are a 501(c)3, and your contributions are tax-deductible. We have been asking DeKalb County to achieve the vision of the Greater Hidden Hills Overlay District. That vision is to make our business environment more diverse, attractive and prosperous. Tycore Auto Services should NOT be granted a Special Land Use Permit to do major auto repair at 5361 Covington Highway. Within one mile of this address, there are 19 auto-related businesses. Within three miles, there are 183. Voice your opinion here, and we’ll send the results to our commissioners. They say they haven’t heard from the community, so let them know your opinion!